Wipers are used to clean everything in the facility, from operators’ gloves to production equipment. They collect both wet and dry contaminants and hang on to them for disposal. Wipers are often paired with a cleanroom cleaning solution to ensure maximum cleanliness. This can be done by wetting the wipe with the solution, wetting the surface with the solution, or using pre-saturated wipers. Attributes to consider when selecting wipers include materials, edge, size, inherent contamination, and absorbency. Wiper fabrics are made from synthetics, natural materials, or a combination of the two. It is important to choose the correct materials for your wipers in order to ensure your cleanroom is compliant with regulations. These can be single- or double-knit and double- or multi-layered. They can also be tubular or hemmed. They’re the best when it comes to cleanliness and are decent at absorbing solvents and resisting chemicals. They aren’t very durable, however, and don’t absorb water or resist heat very well. These are constructed similarly to polyester but are much more durable and resistant to heat. As the name suggests, these wipers are made from a non-woven blend of polyester and cellulose. This makes them very absorbent and durable, but not very heat resistant. Cotton wipers are the best for high temperatures. They’re very durable and absorbent as well. These wipers are made from open-cell polyurethane foam. They resist solvents and don’t withstand high heat very well, but they’re very absorbent and can carry a lot of liquid. These come with an internal cellulose layer bonded to two polypropylene outer layers. They’re very clean and highly absorbent. Wiper edges can affect the level of contamination caused or spread by a wipe. The wiper’s perimeter can be a huge source of contamination if it is not properly finished. This is the cleanest possible edge. It’s a flat edge on a synthetic wipe that eliminates stray threads. This is a soft, thin edge with low carbon levels. This edge is formed cheaply and precisely and is sealed by the heat of the laser. This is a low-cost but less “neat” edge, cut and sealed by a hot wire. 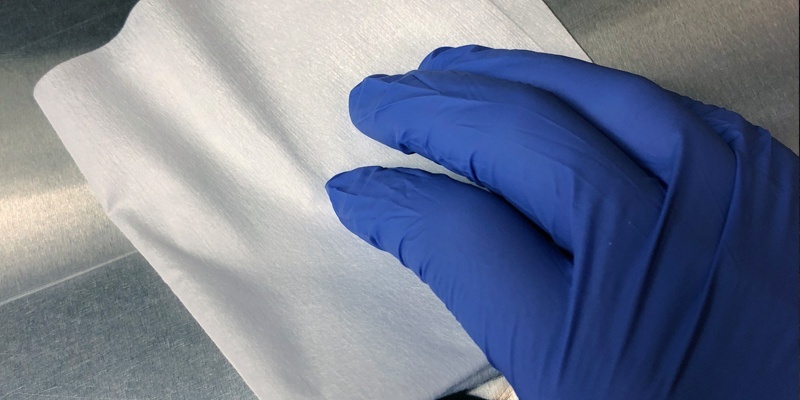 This method has a high risk for contamination because the fabric is simply cut by a steel blade and the edge is not sealed. Most wipers are four square inches, nine square inches, or 12 square inches, but different manufacturers offer different or custom sizes. Wiper materials bring contaminates into the cleanroom including particles, fibers, ions, and non-viable residue. 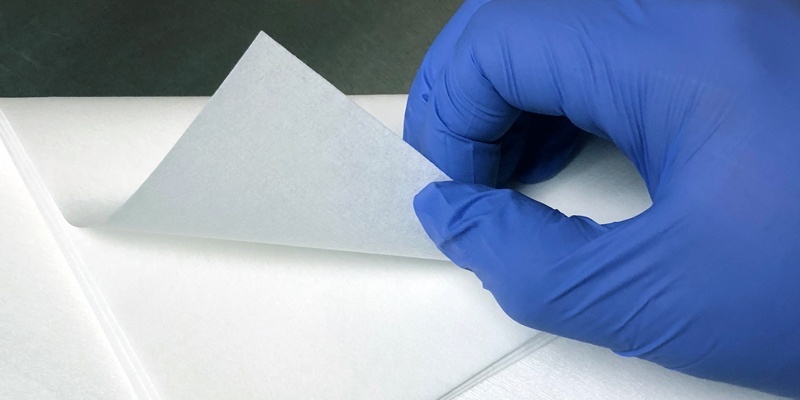 These contaminates can affect the general cleanroom environment and electrical properties of materials, lead to corrosion of metalized layers, and be detrimental to cleanroom manufacturing. Absorbency plays a major role in getting surfaces clean with a wiper. For example, polyester wipers just spread wet contaminates around instead of absorbing them like a cotton wiper would. If your cleanroom wipes don’t have the proper absorbency or aren’t made from the appropriate materials, you risk stirring up dust particles and leaving contaminates behind. You need to ensure that your wipers are specifically designed to meet the needs of your controlled environment. Don’t be overwhelmed by the nuances of the different wipers you can use for cleanroom cleaning. There are professionals out there who are ready, willing, and able to help keep your cleanroom in compliance. Download our complete cleanroom cleaning process guide for more information.